Lisa Valleau Lithall earned a B.A. in Performance at Northern Illinois University and an M.A. at Western Illinois University. Primary studies have been with cellists Marc Johnson, of the Vermeer Quartet, and Tanya Carey. Lisa has studied Celtic cello with Abby Newton at the National String Institute and the Rocky Mountain Fiddle Camp. She is an active chamber musician and soloist, performing annual solo and chamber recitals. She performed in a chamber music seminar held in Tuscany Italy, run by the Fine Arts Quartet. 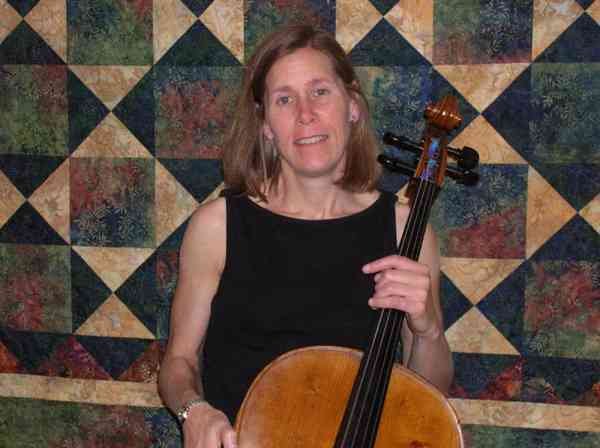 Lisa teaches private cello in the northwest suburbs of Chicago and is a faculty member at the Suzuki-Orff School for Young Musicians in Chicago. She is the founder of Arabella Ensemble, a professional string ensemble that performs a variety of chamber music through the Chicago area. Lisa toured Spain and Portugal performing for the Barrington Suzuki Strings. Lisa is currently a member of the Northbrook Symphony Orchestra and the Buffalo Grove String Quartet.